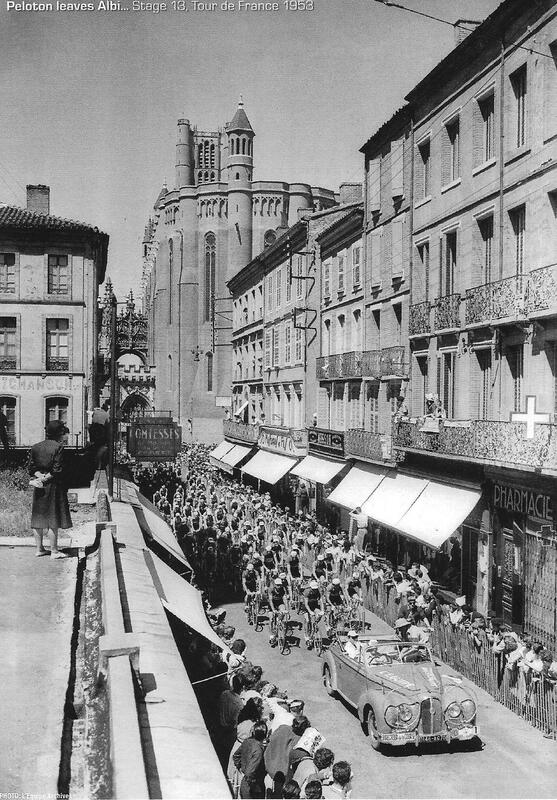 For the Centenary Tour de France, Albi will be the finish of the 7th Stage: Montpellier Albi – July 5, 2013. Voted the most sporting city in France in 2012 by L’Equipe, 2013 will be the 12th occasion that Albigenses have hosted the Tour. The cathedral, a World Heritage site (listed 2010), was the finish of a stage of the Route du Sud in 2012, won by local rider Stephane Poulhies. 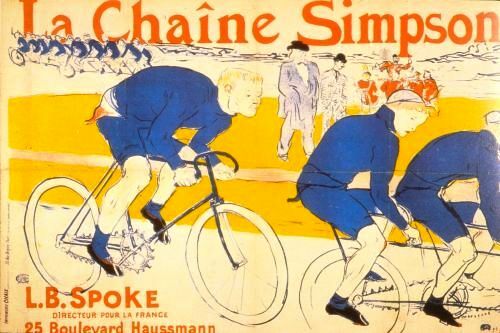 Albi is also the hometown of Toulouse-Lautrec, who painted several posters for bicycle brands in his time. Some of the biggest names in the history of the sport were crowned in Albi, like the greatest of all, Eddy Merckx, who won a time trial in 1971. In 2007, another TT saw the victory of Cadel Evans. Another Tour winner, Roger Pingeon, won a stage from Font-Romeu in 1968. The Tour fully explained on video. Specialities: pot au feu à l’albigeoise (stew), melsat (white pudding), repountsous (plant), croustade, gimblette d’Albi (pastry). Gaillac wines. Economy: glassware, hats, pharmacy, aeronautics. Sport: SC Albigeois (rugby). Albi Rugby League. USSP Albi Volley-ball. US Albi (football). Décanation (decathlon). Celebrities: Toulouse-Lautrec (painter), La Pérouse (explorer), Pierre Benoît (writer). Lapérouse, along with Toulouse-Lautrec, are the two most famous sons of Albi, men whose fame radiates around the world. In the 1950s and 1960s, Lautrec had his museum in the Palais de la Berbie, but there was no Lapérouse museum in his native city. Dr Pierre Amalric, a world-famous ophthalmologist and a member of the National Academy of Medicine, was also passionate about history and the national estate. He was a fervent admirer of Jean-François de Lapérouse, whom he considered to be one of the most famous French sailors and explorers and whom he also esteemed for his warm, humane and generous disposition. During the summer of 1977, Dr Amalric had gone to Vanikoro, to the place where the Lapérouse expedition had disappeared, and had succeeded in obtaining, from the authorities, the return to Albi of numerous relics from the wreck which were rather forgotten in Port Vila and Nouméa. In December 1979, a large exhibition was held in two rooms of the Musée Toulouse-Lautrec, which showed to the people of Albi these relics from Vanikoro, which had been brought back to Albi thanks to the insistence of Dr Amalric. Some members of the ‘Association du Vieil Alby’ [Association of Old Albi] already envisaged the creation, around [the person of] Dr Amalric, of a museum to receive the relics from Vanikoro. From that time onwards, Dr Amalric increased his efforts in all directions to bring the plan to fruition. In 1983, to better prepare for the celebration of the bicentenary of Lapérouse’s voyage (1985-1988), it was decided to create the ‘Association Lapérouse-Albi-France’, as an offshoot of the ‘Association du Vieil Alby’. Dr Amalric became its President, along with that of the ‘Association du Vieil Alby’. In 1985, to celebrate the bicentenary of the departure of the Lapérouse expedition, Dr Amalric organized a memorable symposium with lecturers from four continents and the presidency of two Ministers. At the same time, a large exhibition was put on display at the Palais de la Berbie. All these demonstrations, congresses, exhibitions… multiple approaches to the Musée de la Marine, to the descendants of the Lapérouse family: Madame Pestel, Madame de Baichis… people like Reece Discombe, Haroun Tazieff, Admiral de Brossard, Alain Conan…whp had taken part in the research at Vanikoro; and also repeated contacts with the councillors of the City of Albi, ended finally with the creation of the project dearest to Dr Amalric and the Association Lapérouse: the creation in 1988 of the Musée Lapérouse, Albi’s homage to Lapérouse. In that same year, 1988, other events took place honouring Lapérouse: the inauguration of the Lapérouse Museum, at Botany Bay in Australia, with the presence of a delegation from the City of Albi led by Madame Paule Laval, and the entry into service of the hydrographic vessel Lapérouse, christened by Albi, at its launch. The setting up of the Museum was carried on over many months, with the perseverance of Madame Laval, Assistant Mayor in charge of Culture, and of members of the Association Lapérouse. In one part of the Museum, maritime life in the time of Lapérouse is recalled, along with his forerunners, Bougainville, Cook… and this room also welcomes temporary exhibitions. In the other part, the story of Lapérouse and the places where he stopped on his great voyage of exploration are on display, along with the most moving part of the Museum, the relics from the wrecks of the two ships, gathered at Vanikoro. 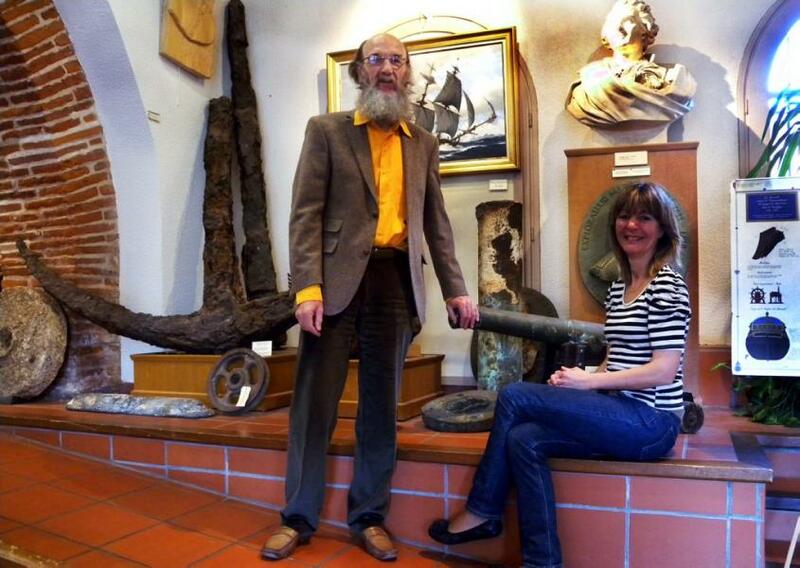 The Museum continues to be enriched with objects following the research expeditions. Thus, the journey of Lapérouse around the world, which tragically ended at Vanikoro, has managed to finish in Albi, his native city. Through the action of successive Assistant Mayors, Messrs Fleury and Billet, the City of Albi has continued to show an interest in, and to support, the Musée Lapérouse. For its part, the Association Lapérouse has been greatly involved in the running of the Museum. During its 20 years of existence, 40 temporary exhibitions have taken place: the SPOT exhibition, marine painters, Easter Island, memories of Oceania, botanical adventures, the three voyages of Captain Cook, the frigate Hermione… Following an agreement with the municipality, the Association Lapérouse, under the presidency of Pierre Bérard, who succeeded Doctor Amalric, has, from 2004, found itself more involved in the management of the Museum and the production of various activities. The Musée Lapérouse occupies a prominent place among the museums of the Tarn area, both by the number of visitors and by its numerous shows. Visitor numbers are continually increasing (in spite of the abolition of free entry in 2000). In 2007, 9,000 visitors were recorded; 25% of visitors are English-speaking: British, Australians, New Zealanders…It is interesting to note a growing number of students, 10% of the total, thanks to the approaches of the Secretary of the Association, Henri Colombié, to the authorities and educational establishments. Another sign that heartens the Musée Lapérouse is the more than 1,000 visitors who visited during the two days of the ‘Patrimoine’ [the National Estate] in September. The Musée Lapérouse, which has grown remarkably, today finds itself cramped and well deserves more spacious accommodation. Lapérouse is fascinating on several counts: his attractive personality, his heroic life, his adventurous journey, and his tragic and mysterious end. 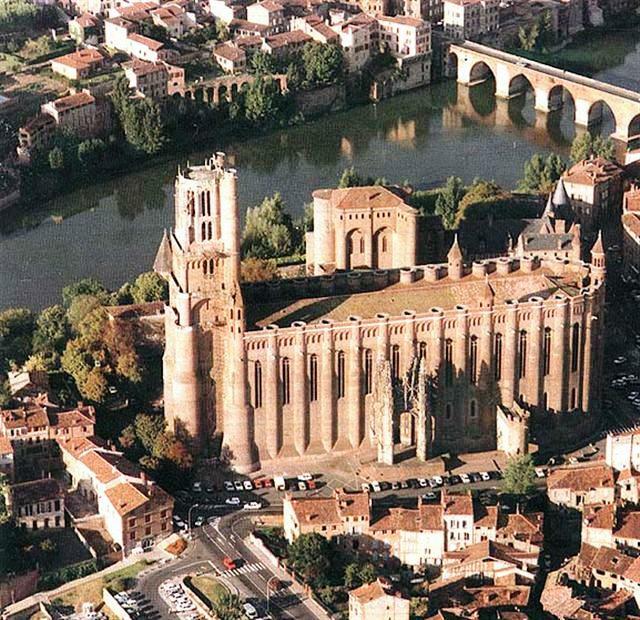 He remains a marvellous ambassador for Albi ; the Musée Lapérouse helps to preserve and to disseminate his memory.